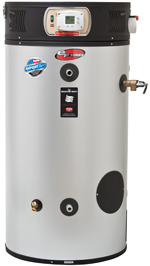 Water Heater installation from Houston plumber, Texas Master Plumber is as easy as a phone call. Houston plumber, Texas Master Plumber, specializes in water heater installation in Houston Texas. Texas Master Plumber is a qualified Houston plumber. With years experience and quality products from Bradford White Water Heaters, Texas Master Plumber is the smart choice for your Houston water heater installation. When you notice water dripping from the bottom of the water heater, this is a sign that your leaking water heater needs to be replaced. Usually, this is a sign that the tank has cracked and a leaking water heater is just the beginning of your problems. If your drip pan leaks or the drain plugs up, the water has no other place to go and will overflow. You can count on water damage and additional repairs of walls and/or flooring. If your water heater is in the attic, the resulting damage can be substantially worse. Water Heater Installation pricing for a traditional tank model depending on the tank size, existing water heater set-up, how it fits and other factors; installing a tankless water heater can cost two to four times more if the supply lines or venting need resizing or other significant changes are required. It costs more to replace an old-style heater with a different system, but water heater installation of a newer model can save money in the long run. Typically, two people are required for a water heater installation in an attic, and so you will want to consider this factor into the cost of a water heater installation. Ask us about our special pricing. Texas Master Plumber is fast, affordable, and reliable. Don’t take another cold shower (unless that is what you are going for) until you call Texas Master Plumber! One final note: Our Service is Guaranteed! 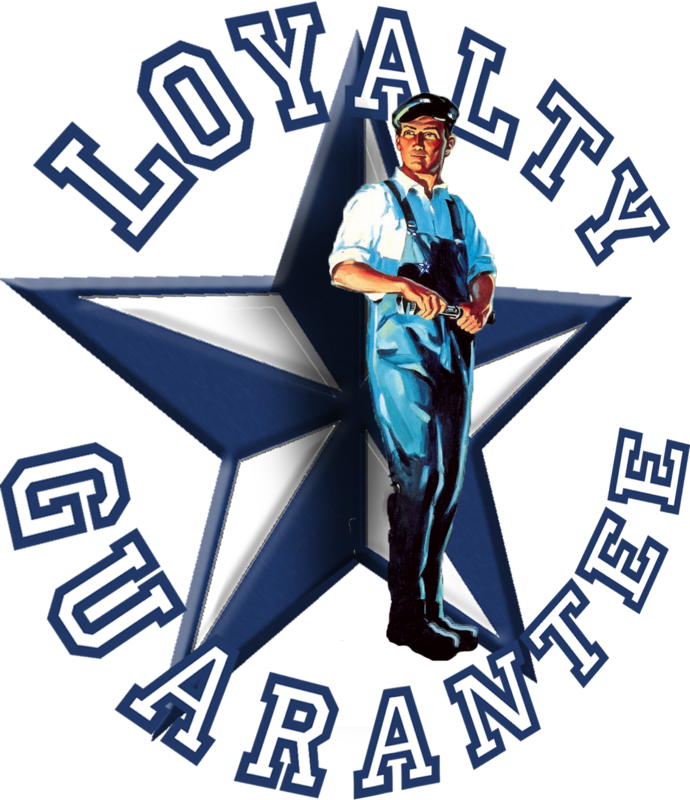 You are backed by our Loyalty Guarantee on all plumbing repairs and plumbing installations! Call us today to schedule your installation.